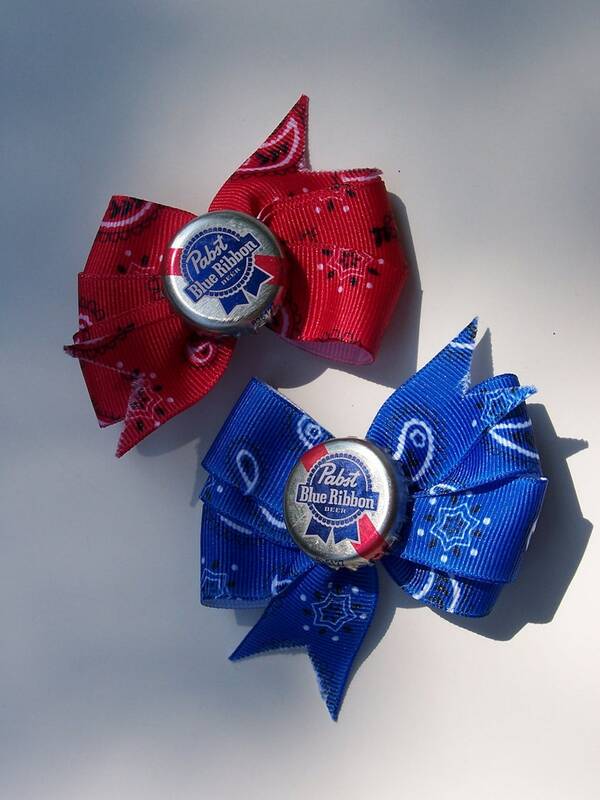 Available in blue or red bandana ribbon. Convo if you'd like a pair rather than one. Secures with an alligator clip.